We here in North America are blessed with a huge array of wild, native herbs that almost no one knows about. We have our own wild mints, wild seeds and aromatic leaves that are every bit the equal of our canonical European pantry. Mountain pennyroyal and its cousins are some of the best. Monardella odoratissima, as you might be able to tell by its name, is an intensely aromatic, perennial mountain herb that grows throughout the Pacific West and in British Columbia. 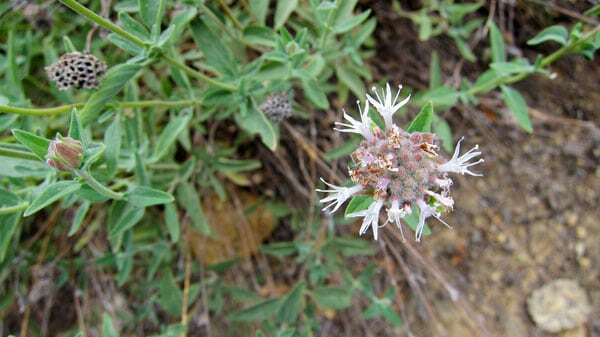 It has about 20 relatives, including the lowland coyote mint, Monardella villosa, which lives in California and Oregon, and some species of this sweet-smelling herb lives in every state or province west of the Great Plains. 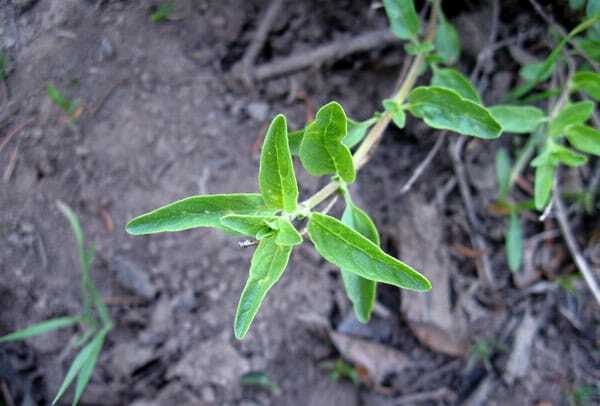 To wrap your mind around mountain pennyroyal, coyote mint and the other monardellas, think of them as a mashup of mint and marjoram or oregano, pennyroyal leans more toward the mint side, coyote mint (despite its name) leans more toward the marjoram side. Where to find these wonderful herbs? For mountain pennyroyal — which, for the record, is not related to real pennyroyal, which is Mentha pulegium — obviously go high. I’ve never seen it below 3000 feet in the Sierra, but it will grow that low farther north in Washington and British Columbia. It tops out about 9000 feet, but I rarely see it higher than 8000 feet in the Sierra. In its sweet spot, around 6500 feet, pennyroyal can be so common it is the dominant ground cover. 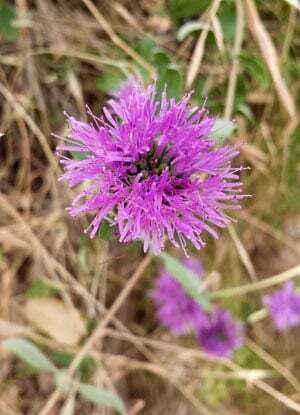 Coyote mint is a lowland plant, rarely climbing higher than 3000 feet. I do have a patch near that height in El Dorado County, but most of my spots are on the floor of the Central Valley. In the Southwest, your most common monardella are M. linoides, flaxleaf monardella, and M. lanceolata, mustang mint. You’ll find these in chaparral, scrub and around the juniper and piñon pines, too. All the monardellas are low, bushy plants. They get woody as the season progresses and will live for many years. I’ve never seen a plant taller than about two feet tall, but I’ve seen huge spreads of it. 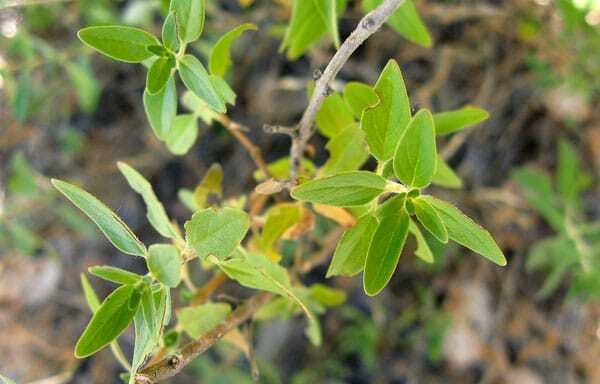 The leaves are distinctive in all species, looking like little spear points. The leaves are smallish, no larger than 2 inches or so and usually half that, and are borne opposite to each other on long, brittle stems. You could be forgiven for not recognizing pennyroyal’s mint relationship by the leaves, but not once it flowers. The flowers of pennyroyal and coyote mint are very mint-like: Little balls of tiny, snapdragon-like flowers held atop the stem. The flowers range from white to purple to coyote mint’s pretty pink. Some species are red. Harvesting the monardellas is like harvesting most herbs: You want to wait until the flowers are just beginning to appear — the aroma is strongest then — and you want to harvest them stem by stem. This makes it a lot easier to strip the leaves off when you dry them. All monardellas dry very well, like mint or marjoram. Be sure to dry your leaves in shade, either in a hot room, a shady spot outside, or a dehydrator on its lowest heat setting. Then carefully strip the leaves off into a jar. Only crush them when you want to cook with the leaves (or make a medicinal tea, which is what my friend Rebecca does.) You of course can also use the leaves fresh, in any way you’d use mint, marjoram or oregano. 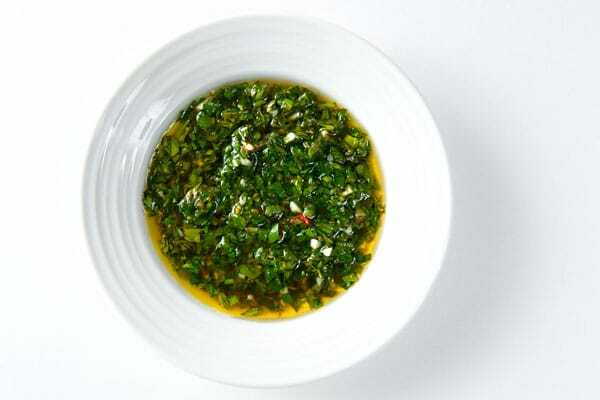 I am particularly fond of making mountain pennyroyal chimichurri, an Argentine sauce that normally uses mint. Slather this stuff on anything, but venison or lamb is its natural match. You can also sub in pennyroyal for oregano for an alarmingly good ice cream. Incidentally, you can buy monardella plants and plant them in your yard. They are pretty, attract butterflies and are extremely drought tolerant. 1) so Monardella odoratissima is only found in the mountains. were I to grow a pennyroyal in the Sonoma County area, which is the most fragrant variety to grow here? 2) i have heard that Cat mint (Nepeta spp) is very fragrant, although perhaps not minty. is that a relative? if you recommend that, which is the best /most fragrant one for growing? Johanna: I’d find M. villosa, coyote mint. Not much experience with Nepeta species. And yes, it is related – same family, different genus. I have not tried Chimichurri sauce with lamb or venison (although I appreciate that mint is traditional with lamb) but I have used it with beef. A delicious combination! Hank, how about South Texas? Deerslayerswife: You don’t have monardellas, but you do have monardas, the bee balms. Look for them around now.